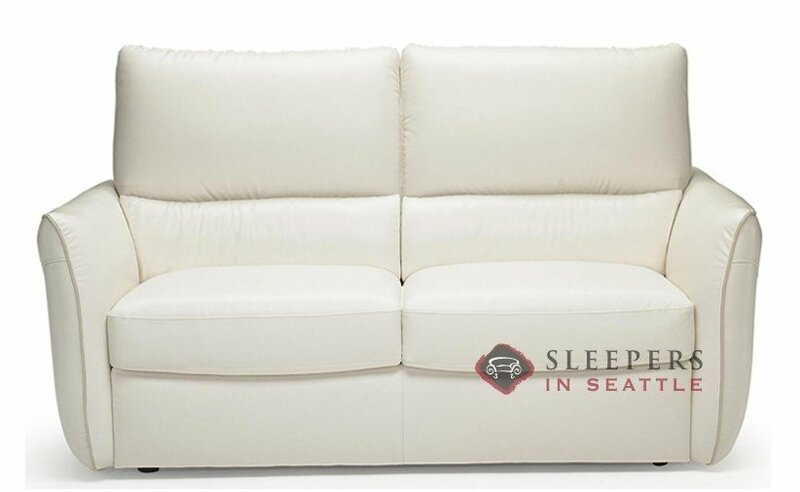 A recent addition to the Natuzzi line, the Versa (B842-262) Leather Twin Sleeper Sofa has quickly become a customer favorite (and one of ours)! Exceptional comfort is marked by a unique arm design, and plush cushions on each side. Available in a terrific selection of Natuzzi’s top-grain leathers, the Versa makes a special addition for any special home. Customize your own today in our Sleeper Design Center! The patented Greenplus Foam Mattress offers all the luxury of traditional memory foam without the negative effects to the environment. This couch is great. Me and husband sold our house in Maine last year and moved to Manhattan to be closer to our kids. Finding the right furniture for the new apartment was no easy task. But after a few weeks of searching we found this Versa. I fell in love with it immediately, though my husband need a little convincing. Eventually i won him over, and I'm glad I did. This sofa goes with the vibe of our space so well and the fact that it's a pullout means I get to have extra sleepovers with my grandkids. And honestly, that's what life is about. I like luxurious things. I always have. I haven't always been able to afford them, but that's not the point. This sofa definitely falls under the luxurious heading. I went for the dream dove leather and it is magnificent. The sleeper is what I would call luxurious too, very comfortable as far as sleepers are concerned. I'm very satisfied with my purchase if that wasn't evident already. Thank you Sleepers in Seattle. 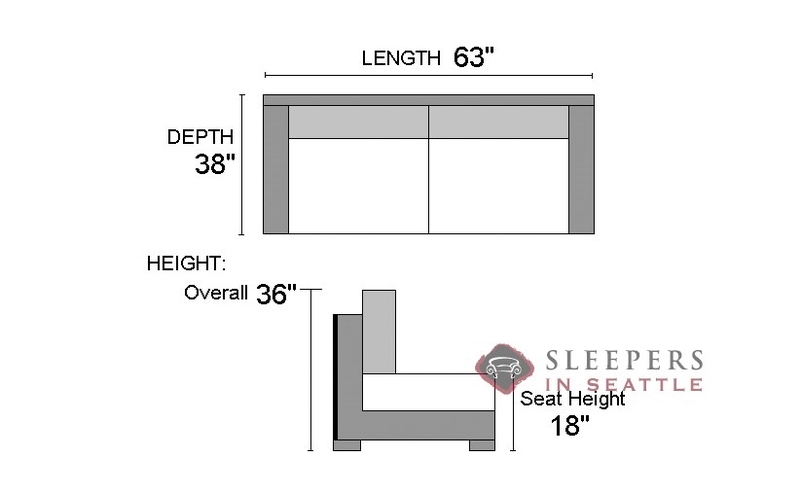 What is the width of the twin foam mattress? Any recommendations for best sheets? 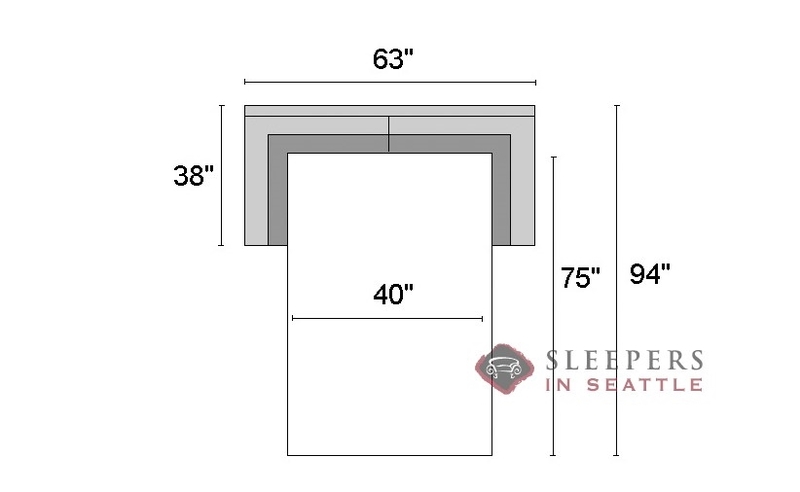 The mattress on the Versa is 40"W x 75"L. We unfortunately don't have Twin sleeper sheets on-hand.